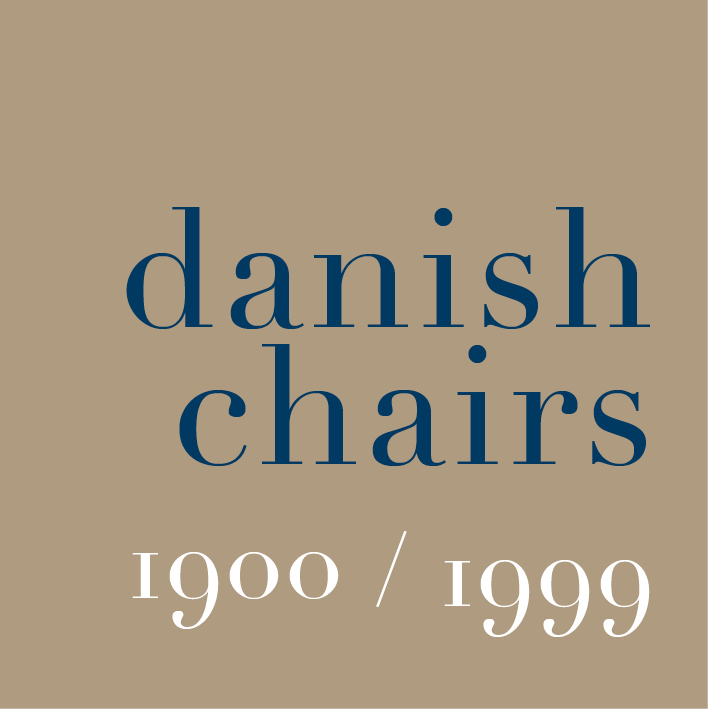 The 8000 Series Chair by Rud Thygesen (born 1932) and Johnny Sørensen (born 1944) was designed in 1980 for Café Victor in Copenhagen. It is said to be a reworking of the famous bentwood cafe chairs that were produced by Thonet in Austria in the late 19th century but it also looks to the rather different use of wood and rather different developments in wood technology from Finland in the 1930s in the work of Alvar Aalto and his experiments with laminated wood and plywood. The light, compact chair by Thygesen and Sørensen has a round seat that is formed with an outer ring or frame in wood that is rebated to take circles of plywood in the top and bottom and both are slightly concave or dished and held apart by an internal spacing piece at the centre. Sinking the plywood into a rebate gives the edge of the seat a thin and clean profile. The back of the 8000 Chair has a gentle curve - wider than the seat itself - and the centre is flat on the face to provide a more comfortable support for the spine. The top of the vertical supports for the back and the bottom part of the legs are flared or curved slightly outwards to give a more sophisticated profile but also give the chairs more stability. Light but strong for commercial use, the cafe chairs can be stacked neatly in a tight and vertical stack. One promotion drawing shows the chair with the back hooked over the edge of a table top to lift it up clear of the floor when cleaning the room. * In contrast, for Stool 60 - and the chair in the same series by Alvar Aalto - the top of the leg is bent over to form a knee with a short horizontal section and the seat is fixed on top of the legs with screws up through the legs into the seat.